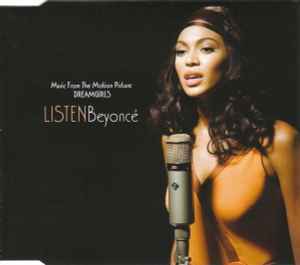 Published By – Cherry River Music Co.
"Listen" written and recorded for The Motion Picture "Dreamgirls"
Track 1: Produced [...] for Music World Productions, Inc.
Track 2: Originally produced [...] for Delirious Blacksmith Management and [...] Music World Productions, Inc. Co-produced [...] for Compound Ent. TM & © 2006 DreamWorks L.L.C. and Paramount Pictures.